Richard Mauro, Founder and Director of Galvanize America, 7/11/17. www.galvanizeamerica.com . Ever since my earliest memories I have had a deep and abiding love for all things outdoors. I can remember being barely older than a toddler, waiting anxiously for one of my brothers to return from their latest hunting, fishing, or other outdoor adventure. I was fascinated by the fish and game which they brought home and riveted by the stories they told of how they collected it. In fact, I was so enthralled by the tales they spun that years later, including to this day, I can tell them details of certain outings of theirs that they themselves cannot remember. When I became old enough to accompany them on some fishing trips, I loved it so much that it was clear to me that I had only one option for a career – a Waterways Patrolman – at that time the official title of a “fish warden” in Pennsylvania. That dream was relatively short lived however. When I became old enough to hunt I quickly determined that that was my greater love and therefore the only career that I could truly be happy at would be a wildlife biologist. 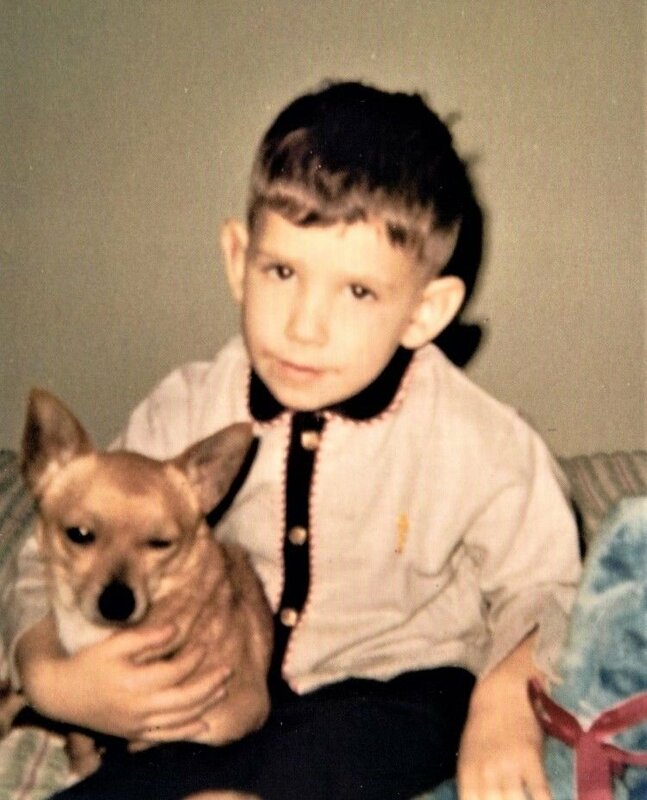 And so it was that from elementary school through high school I spent much of my free time fishing, hunting, or just exploring the woods and fields near my home with my dog. Upon graduation from high school in 1981, I attended Penn State University and graduated after four years with a B.S. degree in Wildlife Science. In the wildlife biology field, typically an undergraduate degree does not get you near as far as an M.S., so I applied for various graduate programs and fortunately was accepted at the University of Kentucky on a research assistantship. This provided a modest stipend which though certainly not allowing any frills, covered my basic living expenses and thankfully allowed me to pay the required tuition without going into debt. While in graduate school I studied a cohort of Ruffed Grouse which had been translocated from eastern KY to Land Between the Lakes in western KY, in an effort to re-establish a population of the birds there. Grouse were originally native to western KY but had been extirpated in the mid twentieth century. In 1994, upon the completion of my graduate research thesis (though I had completed coursework several years prior), I earned a M.S. degree in Forestry from U.K. 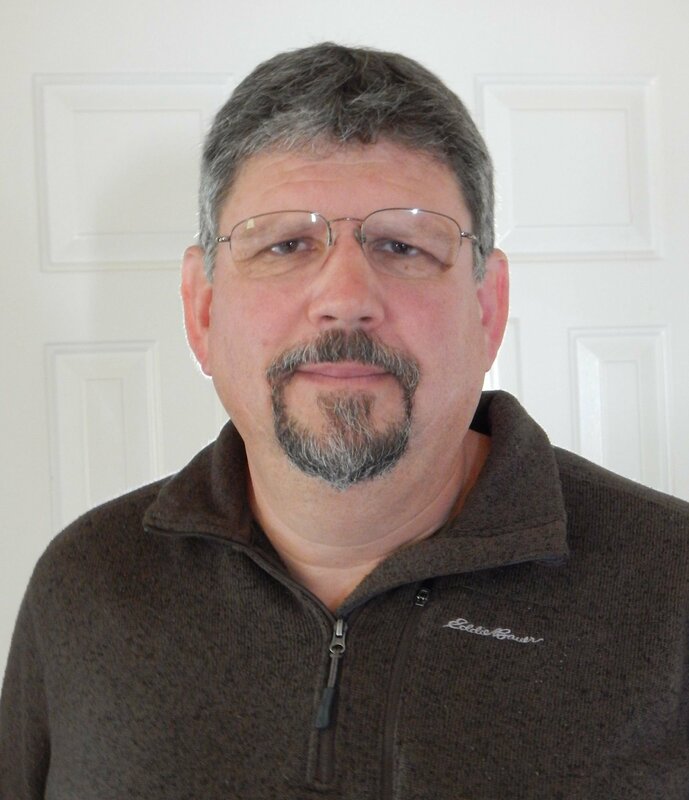 In 1988 I began a job as a seasonal Wildlife Technician (actually then known as a Wildlife Aide) working on several large wildlife areas in rural eastern KY near the town of Grayson. A year later I was fortunate enough to be hired full-time by the state Dept. of Fish and Wildlife as a wildlife biologist. 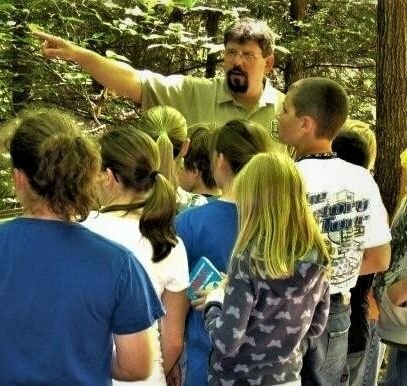 Over the next 27 years, though with some shifts in duties and job titles, I devoted my professional life primarily to managing at any given time from 5 to 10 Wildlife Management Areas in eastern KY averaging a combined acreage of about 54,000. In my personal life, I was married in late 1990. Though I don’t believe this union was a good fit from the beginning it did last for 17 years. A positive from my first marriage was that I became a step father to two boys who were 9 and 11at the time. Though this father–son relationship like most had its struggles I believe overall it was a strong positive and hope they feel the same. I am still very close to one of the boys, his wife, and their three wonderful children. My relationship with the other step-son and his wife I believe is on the mend since some difficulties at the time of the divorce. They have a daughter who also is outstanding. I was married for the second time in 2009 to a beautiful, exceptional woman from Tennessee via California. Though she has faced many challenges in her life she has persevered in a very determined fashion to earn a Master’s degree and become a special education teacher who cares greatly for her students. She is the love of my life and brings me great happiness. I have to say that in relation to my career at least initially anyway I was very blessed. To be able to parlay a love of the outdoors into higher education in my chosen field, and then a profession as a wildlife biologist was a dream come true. And the terms of my employment at the start of my career were very good. When I began in 1989, it was standard for all full-time state employees in KY to receive a 5% annual raise. While this may seem like a lot by today’s standards if you think about it in most years it really just allowed an individual to track inflation and have a very small raise as a reward for experience. The pension plan for state employees when I began was also outstanding providing a defined benefit system that permitted a decent standard of living in retirement after a career of reasonable length. Our health insurance in 1989 and for some years after was affordable and provided good coverage, and I like many others at the time graduated from college without burdensome student debt simply because tuition costs were much more reasonable. I quite simply was the beneficiary of a fair system that encouraged young people to pursue their heartfelt interests, make important contributions in their chosen field, then rewarded them certainly not with riches, but with a fairly comfortable living for themselves and their families. But as my career progressed this began to change. Beginning around the turn of the century the raises went from 5%, to considerably less, to not at all. In fact, during the last 9 years of my career I, like many other merit system employees in KY, received no raise in 7 of the years, suffered a pay cut in two of the years due to statewide mandatory employee furloughs, and received a 1% raise in each of the other two years. In other words, due to annual inflation, you can basically say that KY state employees suffered pay cuts virtually every year during that time. Some reward for dedicated service and experience. The health insurance through most of my career became continually more expensive and covered less. And trust me, the great majority of the decline in quality of coverage occurred before Obamacare came around. By the time I retired in 2016, though it varied somewhat per option, it cost a KY state employee about $400 a month in premium alone for family coverage. And this cost was and is being borne by many state workers whose annual salary is in the mid $20Ks or less. Talk about an impossible or near impossible situation. Though I was very fortunate to hang onto my original pension plan, the pension system for new employees was downgraded several times throughout my career. In many ways it now amounts to a glorified 401K or social security supplement, makes only a contribution (which may well be insufficient to cover costs) towards health insurance rather than assuring health care coverage for retirees, and for recent hires the KY legislature may change retirement benefits in the midst of their careers “if fiscal circumstances call for it”. In short, the quality job that was available to me in starting my career has been diminished to the point of being almost unrecognizable. And added to the phenomena of stagnant wages and very reduced benefits, a graduate filling my job today would likely also face the issue of very burdensome student debt. And you can bet that the demands of the job and amount of work expected have not declined, even though compensation for my former job has been considerably reduced in recent times. Now some may say that the decent pay and benefits which I received early in my career simply weren’t sustainable by the state, and there may be some truth to that. But I also will say that it is also a matter of making working people a priority, living up to stated obligations to your employees, and that functionally no raises in the last 9 years and a gutted pension plan are going way too far in the other direction. And this situation is not by any means limited to KY state employees. It is indicative of the trend that has occurred throughout our country for both government and private sector workers during the last 20 – 30 years. It is a poor, unfair reward for the hard work most Americans put forth in their jobs each day and a powerful disincentive to follow dreams and pursue higher education. Like many baby boomers, in my own personal case I am faring pretty well. As indicated I was able to retain the better pension plan available to employees of my generation and this has allowed me to retire at a comparably young age- something that I am perpetually thankful for and do not take for granted. Likewise at least initially in my career I was able to experience reasonable wage growth which softened the blow of wage stagnation/reductions in later years. We own some acreage, and in one sense I should be very satisfied in making environmental and wildlife habitat improvements on my land as I enjoy doing, and working some small jobs on the side to earn extra money. But it is difficult to be content in these activities when so many in the current generation are struggling so much to make ends meet. There is a clause in the preamble of our constitution that specifies that an objective of our government is to “promote the general welfare”. This statement would appear to be common sense and indeed there was a time in our nation’s history when politicians and judges accepted this as a near universal goal. The minimum wage was increased regularly and appropriately to buoy working and middle class wages. Rights of unions were strengthened and protected which not only assured fair benefits and pay for their members, but propped up wages for non-union employees as well. Courts routinely decided in favor of worker safety and pensions and upheld the rights of consumers and everyday Americans. In short it was commonly and correctly perceived by government officials and citizens alike that what was good for the middle class was good for America. So what happened? Today one-half of our major political parties displays basic contempt for the lives and livelihoods of working Americans. Virtually nothing Republican politicians at the national level currently support or have supported in the last several years directly benefits working or non-wealthy Americans. Everything is a tax cut or perk for the wealthy or corporations, or a reduction to the essential or earned benefits of most Americans. But of course we can all be re-assured once again, that these trickle-down approaches will in time benefit us all. But the problem is that they don’t. All they really accomplish is to raise the deficit, further erode the standard of living for working and middle class Americans, harm our quality of life, and weaken our economy and nation. It is time for all Americans to stand up now. To shake off the malaise among us that has allowed cynical, greedy or misguided politicians backed by big money to gradually prevail over the last 20 – 30 years in policies that have degraded our country’s middle class. That fair situation, and good paying job in my chosen field that was available to me upon graduating college 28 years ago has become much more scarce for virtually all working Americans – skilled or unskilled, professional or blue-collar. It hurts the current generation the most, but affects all of us to an extent and is the reason I can’t simply enjoy a modest but comfortable retirement without trying to do something about it. I hope all Americans, the economically hurting and the well off, will be motivated to do something about it. To support the policies that directly help working and middle class citizens, restore prosperity for all Americans, and ultimately make our economy and country as strong as it possibly can be. Please support Galvanize America and other organizations working towards these goals. www.galvanizeamerica.com .